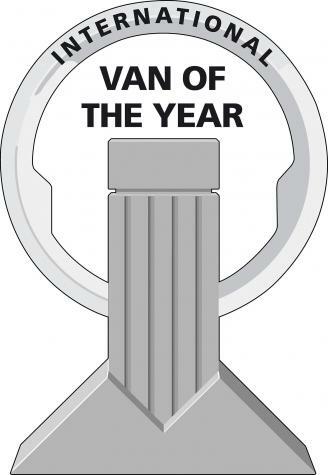 Since 1992, a pan-European panel of 25 light commercial vehicle magazine editors and journalists has voted for the International Van of the Year, the most prestigious award in the sector. In the past decade, the level of activity among the light van manufacturers has been unprecedented with numerous new models not only on sale across Europe but also spread into new frontiers such as China and North America. Recent winners such as the Iveco Daily (IVOTY 2015) and the Ford Transit Connect (IVOTY 2014) endorse the now worldwide appeal of European developed light commercials, as verified by the collective jury. Recent times have seen van manufacturers busy meeting Euro 6 exhaust regulations and also modifying their current models or completely revised them with a new range. While at the same time some entered new segments. New arrivals were welcomed such as Hyundai and the return of the LDV, although the latter has yet to enter the full European market, while the H350 from Hyundai is being anxiously awaited in right-hand-drive form for the UK & Ireland. For the International Van of the Year 2018 contest, five brands are in contention for the big prize, with the winner announced at the SOLUTRANS Exhibition in Lyon, France on Wednesday 22 November next. In alphabetical order, the second-generation Ford Transit Custom has been assessed by the jury, a few months ahead of its introduction. Most notable aspects are the redesigned front end and dramatic upgrade of the interior, with an 8” touchscreen being an advantageous business tool in terms of connectivity and vehicle performance. Iveco, with the most recently launched Daily Blue Power range has put into customer’s minds three clear options that will help to reduce their carbon footprint by introducing its latest 2.3 litre Euro 6 RDE (Real Driving Emissions) diesel, three years ahead of the regulation. The 3.0 litre Natural Power CNG version now benefits from the fitting of the Hi-Matic transmission while the Electric power variant now extend to 5.0 tonnes GVW. MAN enters the fray for the first time, even though the new TGE commercial vehicle range is based on the new Crafter from Volkswagen, Nutzfahrzeuge (CV) and built by its German parent in Poland. The line-up is similar in that TGE will consist of panel vans, minibuses and crew-cabs covering from 3.0 to 5.5 GVW. It will be powered by the Volkswagen Group’s 2.0 litre Euro 6 diesels with power options from 102 to 180 hp with traction through front, rear or all-wheel-drive. Manual and automated transmissions will be available. Renault Pro+ has revised the Kangoo ZE electric van which now boasts an extended range distance to 270 kms (improved from roughly 120 km) between charges. Termed Kangoo ZE.33 as it’s now called features an upgraded battery pack, and a more powerful electric motor (now at 33 kW) together with additional connectivity. Payload at 640 kg has not been affected. Rounding off the quintet of players in this competition is the Compressed Natural Gas powered Caddy TGI from Volkswagen Commercial Vehicles. In its latest form a new 1.4 litre engine meets Euro 6 standards at ease, offering an acceptable 200 Nm of torque and 110 horsepower. 630 km can be driven within gas fills with its carbon footprint trail being significantly lower. Alas, to date, Caddy TGI is only available in left-hand-drive but that decision may be changed in due course, as Natural Gas is fast becoming a viable alternative fuel across Europe.